Homer H. Hazel was born June 2, 1895 in Piffard, NY. He developed extremely strong arms and legs as a teenager doing farm work in Western New York and Michigan before attending prep school in New Jersey at the Montclair Academy. There he developed into one of the state’s finest track athletes, specializing in the discus throw and broad jump. In the fall, Homer was the star of the football team. He was a good long-distance kicker and punter, and astonished onlookers with his ability to throw the oversized football of that era 40 or 50 yards. He could cover 10 yards in under 11 seconds and at 5’11” and 230 pounds, he was often described as a human block of granite. After saving enough tuition money, Homer enrolled at Rutgers in 1916 and was the star of George Sanford’s gridiron squad. He left the school before graduation to support his young wife and three children, returning to Michigan, where he worked as a farmer and miner. In 1922, Homer decided to complete his education. He returned to Rutgers and worked as an assistant to coach Sanford and also competed for the school’s track team. In 1923, Homer’s football eligibility was restored and he made headlines by heaving a 69-yard touchdown pass in a 44–0 win over Villanova. His defense was spectacular; Walter Camp named him a first-team All-American at end. 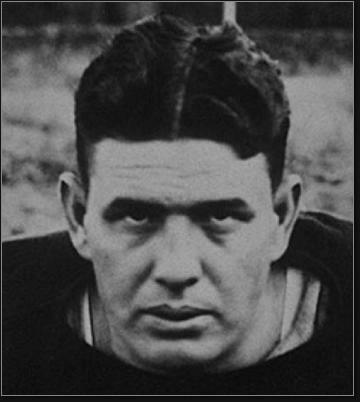 In 1924, Homer (now 29) was one of the top-rated passers and kickers in the nation. Walter Camp named him a first-team All-American at fullback, making Homer the first player to earn this honor at two different positions. The team went 7–1–1 in both seasons. On one of Homer’s famous scoring runs, he was met by a tackler inside the 30 yard line and dragged him to the 10, where two other opponents grabbed him. He dragged all three into the end zone. In a win over Cornell, Homer launched several punts between 60 and 75 yards. Homer also lettered for the Rutgers basketball and tennis teams and was one of the top hitters on the baseball nine. He won a national shot put title in 1925 and was purportedly the best lacrosse player in New Jersey. Prior to graduation, Homer was hired as Athletic Director by Ole Miss and went on to coach the Rebels football and basketball teams for five seasons. He was a demanding and controversial coach who was not always popular with players. Homer left the school in 1930 and returned to Michigan, where he worked as a personnel director for two large corporations. He continued to compete in a variety of sports in his free time, and even played golf professionally for a few years. Homer was inducted into the College Football Hall of Fame in 1951. The annual Rutgers football MVP award was named in his memory in 1953. Among the winners were Billy Austin (x2), JJ Jennings, Deron Cherry, Marco Battaglia (x2), Gary Brackett, Ray Rice (x2), Devon McCourty, Mohamad Sanu and Khaseem Greene.